Good, clean design can still be interesting and statement-making, which is what we love about these cool pantry doors. They’re a great way to have a major design impact in your kitchen, and they run the gamut from eclectic to luxurious. 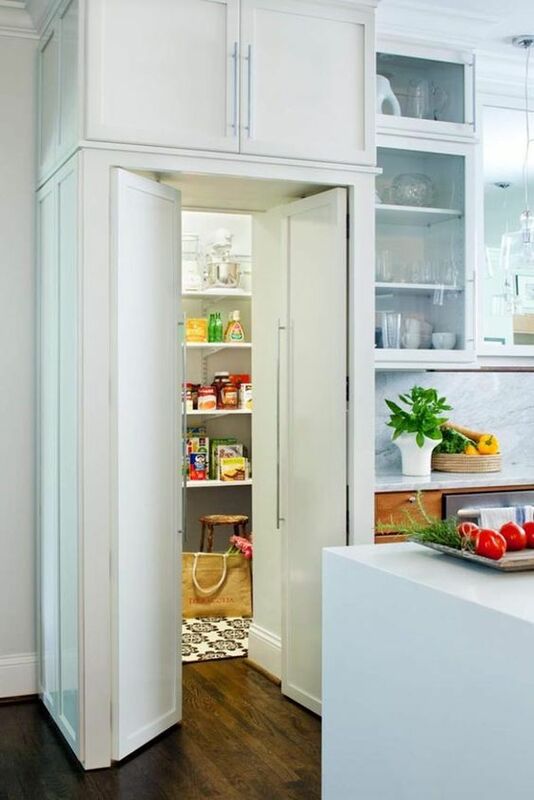 Give your kitchen a pop with these cool pantry door ideas. Who says the pantry must be located in the kitchen? If your kitchen doesn’t have room for a new pantry or you need more storage space, we love the idea of having your pantry be a part of the design in an adjacent room. This dark shade pops agains the adjacent white cabinets, and no one will know what’s behind these doors. Keep things consistent and incognito by blending in your pantry doors to your cabinet design. Add small but bright lights to illuminate the space. 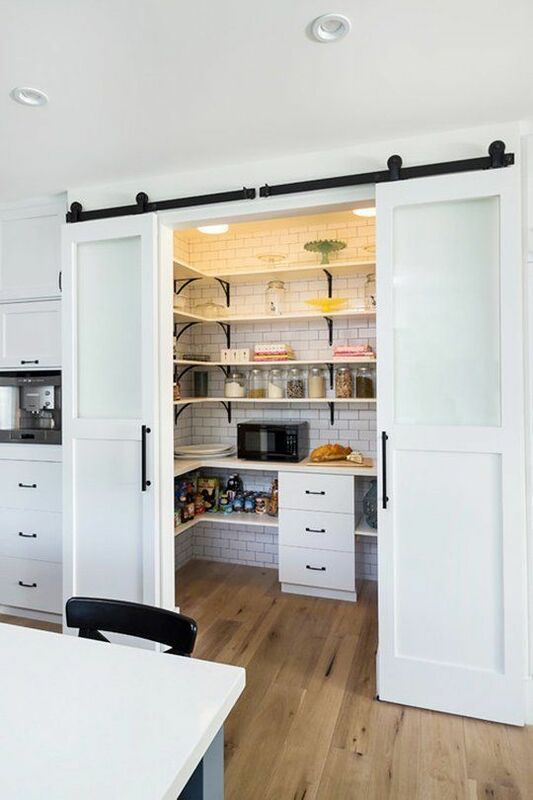 One of our favorite pantry door ideas is sliding barn doors. You can choose from rustic barn doors, modern barn doors or those that mirror your cabinets like these. What’s great is it makes the space feel grand and all of your items are easily accessible. 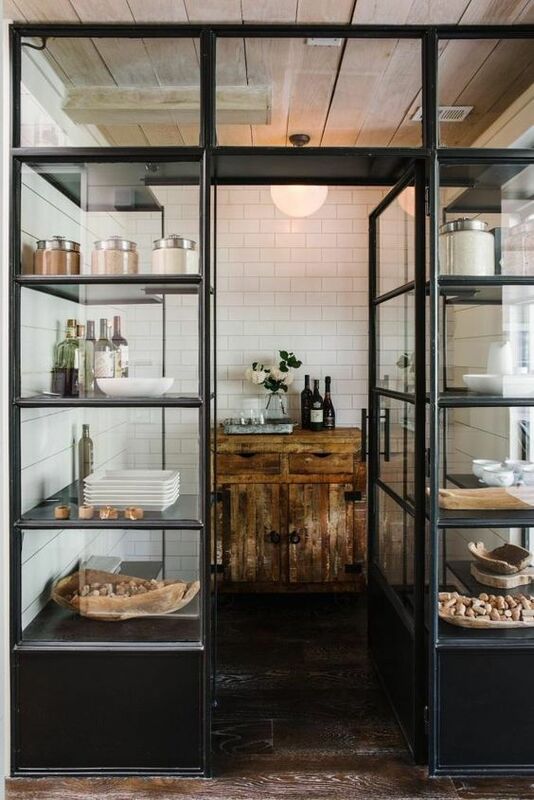 This modern take on pantry doors has an industrial, restaurant feel, and is truly a unique take on cool pantry doors. You’ll want to make sure you’re super organized for this type of pantry so invest in matching storage containers, baskets and decorative wares. 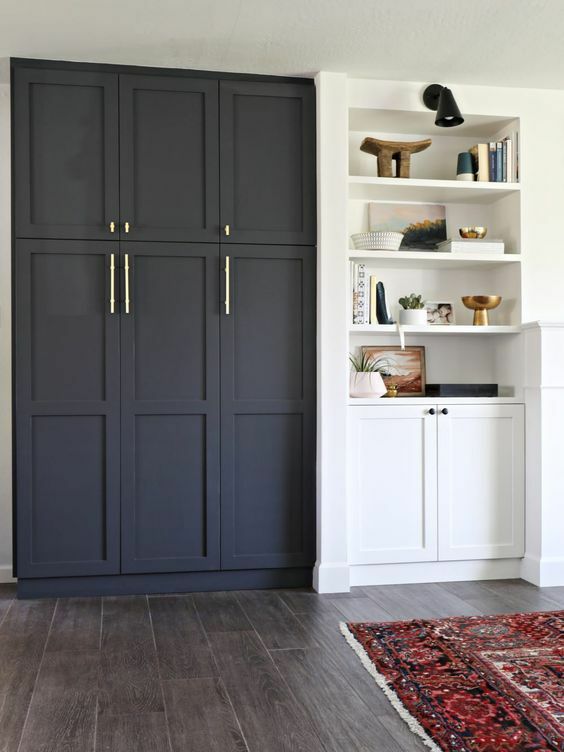 We’re loving this chalkboard pantry door as it adds a casual feel to this space. 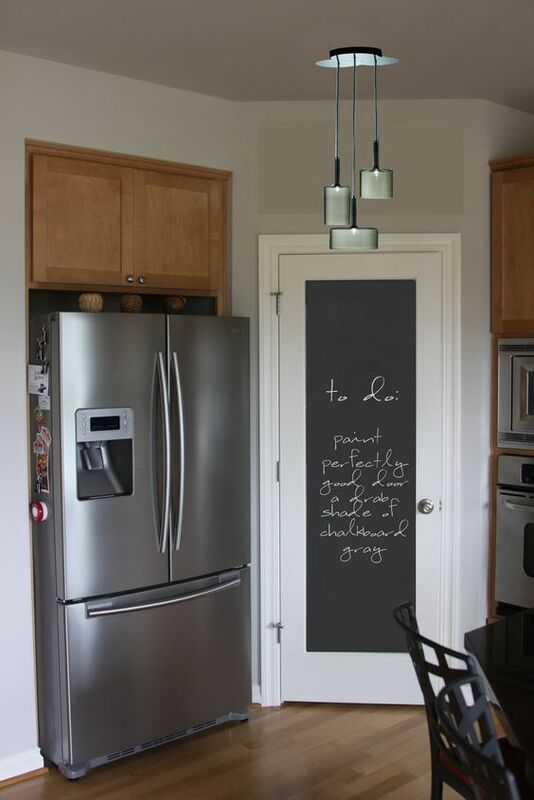 Chalkboard-painted surfaces are no longer just for kids, they can be the perfect addition as your pantry door, allowing you to keep things cool by adding quotes, to-do lists, recipes or those fun grocery lists. Still loving the farmhouse kitchen trend? 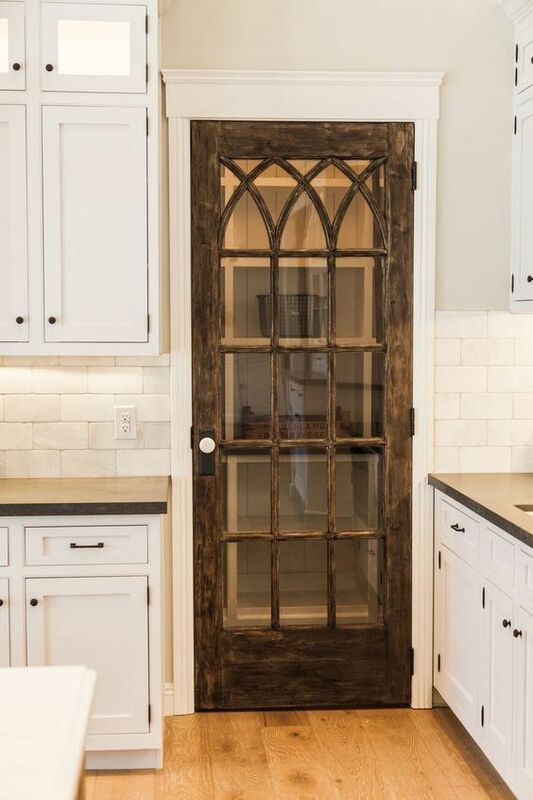 You’ll love this rustic pantry door idea, a fun way to add a bit of pop to your kitchen! No matter the style of your kitchen, there’s always a way to implement cool pantry door ideas. Is your kitchen more modern? Opt for some industrial-grade pantry doors to really create a restaurant style. Need something more eclectic? Try a colored, vintage pantry door made out of reclaimed wood. Whatever it is you’re looking for, there are tons of unique pantry door ideas. 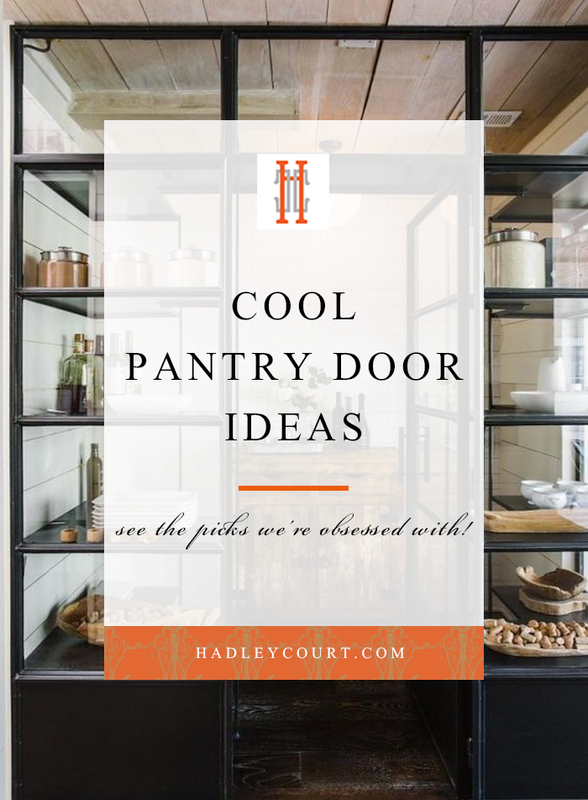 What pantry door ideas are you currently loving? Share with us below!